If you are a foodie that resides in or has visited the D.C. area, you have likely heard of Wagshal’s. The local delicatessen and gourmet market has operated since 1925 and is a neighborhood staple, recognized for its fresh food experience and legendary sandwiches, like the award-winning brisket. “As a Washington-area native, I have long known Wagshal’s as a local legend, and I am continually amazed by their commitment to loyalty, quality and innovation. They put employees and customers first, and continuously reinvent themselves, while remaining true to the brand that customers have known for 90 years,” said Brian Greene, Regency Centers’ senior leasing agent. 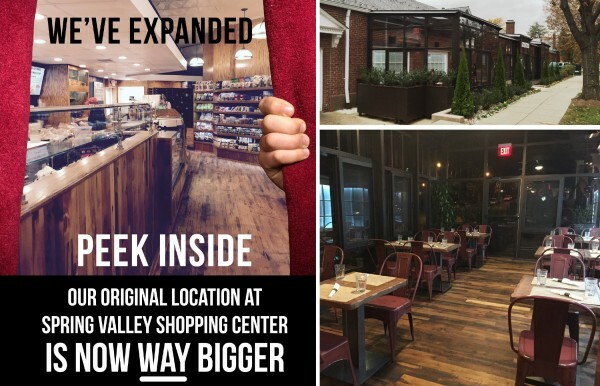 Situated in Regency’s Spring Valley Shopping Center, and owned by the Fuchs family, Wagshal's operates in two separate spaces, the deli and the market. Recently, the owners nearly doubled the deli layout to 2,800 SF, expanding to now occupy more than 3,900 SF in the 16,834 SF center. The new expansion brings artisan pizzas, a gelato bar and barista-crafted beverages. Here are a few interesting facts you may not know about the D.C. favorite. Our write-up is dedicated to presenting the diversification, and consistency, that is Wagshal’s. Locals can agree, the addition of a seated dining area in its flagship location is an exciting change for Wagshal’s. According to its history, original owner Sam Wagshal removed the dining area in the 1960s because he could not find reliable wait staff, explains Bill Fuchs, whose family purchased Wagshal’s in 1990. The Fuchs wanted to create a place where families could enjoy time together while eating delicious food. The new space is encased in a metal structure with floor-to-ceiling windows and wood flooring, a design that preserves the building’s historical architecture. It is a true indoor/outdoor four seasons room, equipped with central heat and air, and includes retractable sections ideal for al fresco dining. Amazingly, the structure meets local regulations, and if necessary, could be removed in less than 24 hours. Upon prohibition ending, Sam Wagshal was the first person in line to obtain a District of Columbia liquor license, a designation Wagshal’s holds dearly. 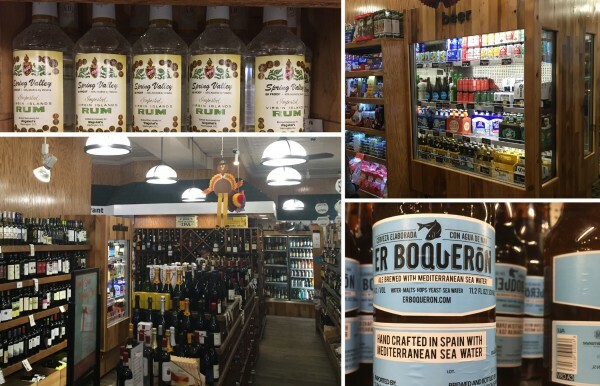 Along with the expansion of the Spring Valley location came an expanded beer, wine and spirit selection. Aaron Fuchs, executive vice president and son of Bill Fuchs, expresses his passion for discovering “hidden jewels” when selecting items carried in the market. “We look for rare vintages and unique flavors, like Spanish craft beer infused with Mediterranean sea water and local distillers' Green Hat gin. All of our wines are carefully selected boutique varieties that pair well with our market, meat and food selection.” Under its Spring Valley line, Wagshal's carries its own exclusive line of liquors, including a Virgin Islands rum and a blended scotch whiskey. 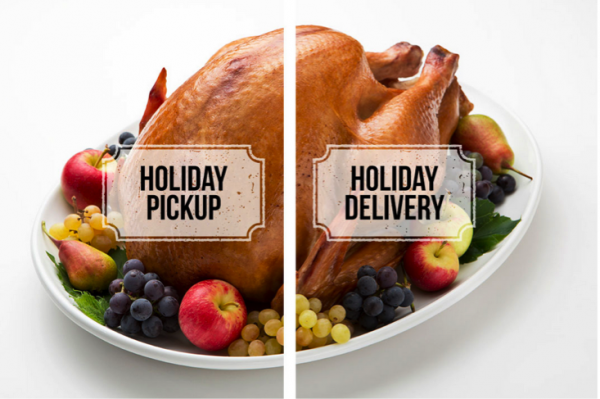 Tis the Season to eat, drink, and then eat some more! Wagshal’s offers a full selection of seasonal favorites for creating a delectable holiday spread with all the fixings. Meats are all-natural, never frozen and locally sourced from Shenandoah Valley. The market vegetables are always in season to ensure peak freshness. For cooking inspiration, Wagshal’s blog provides holiday tips, treats and daily recipes. However, should you need to enlist the help of the Wagshal’s elves, the delicatessen also offers prepared meats, made-from-scratch sides and desserts ready for pick up or at home delivery – don’t worry, your secret is safe with us! A piece of meat can make or break a grill out or even a meal for one. Finding a good butcher is key (not kidding, learn more about one of the best, Pam 'The Butcher'). 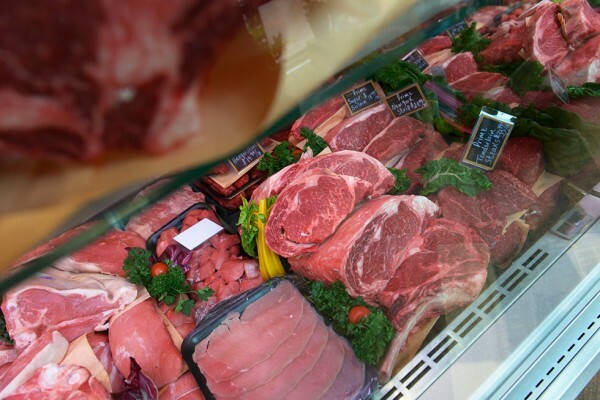 Finding a good butcher that offers the best meats in town, now that’s like winning the jackpot. As a master importer, Wagshal’s offers a variety of lean-exotic meats including antelope, yak, elk, and Japanese Wagyu beef. But its most unique commodity sold at the market is the 100% Ibérico Cochinillos, (English translation, Ibérico Suckling Pigs). Wagshal's is the first company in the U.S. to import these pigs from the Fermin farm in Spain. Ibérico Cochinillos piglets are milk-fed, and as adults, move on to forage off government-protected land. The meat is tender and produces succulent flavors, an exceptional substitute for traditional holiday meats. In an earlier story, we discussed the great barbecue debate. 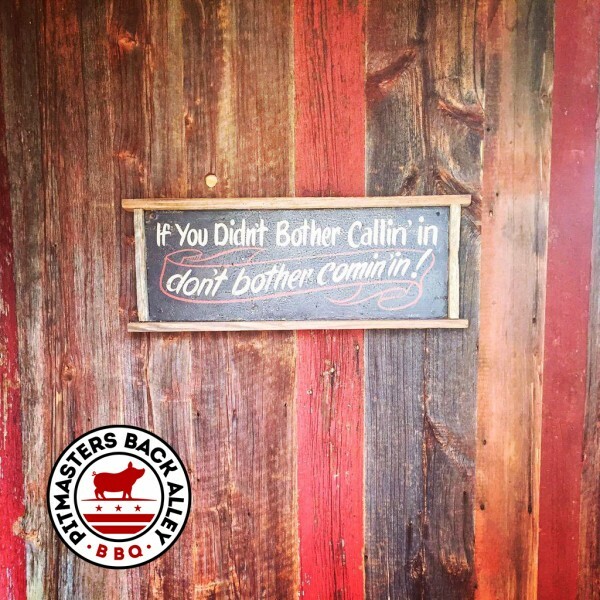 Under its Pitmasters Back Alley BBQ brand, Wagshal’s is shaking things up – bringing a new spin on the traditional barbecue joint. In their travels, the Fuchs learned techniques for cooking top-notch barbecue directly from world-renowned pitmasters. But you won’t find seating here; all orders are to be placed in advance, for carry out. This strategy guarantees the time it takes to smoke the meat to perfection, if needed, reheating instructions are included. You can also order from a list of southern-comfort sides including cheesy grits, fried okra, cornbread, collards and fresh cut fries. For a mouth-watering description on Wagshal's famous “Broasting” method (healthier alternative to frying), check out this piece found on D.C. Outlook. These guys are full of surprises and always looking to do more. Follow them on Facebook, for updates on the innovative brand. As the holidays quickly approach, visit Wagshal's online for pre-ordering and hours of operation.